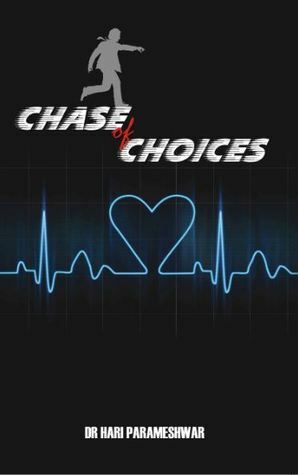 It is my second book by the author, but this book was so different and better ( Chase of Choices was great ) than the other one. °°° The characters, and the hidden meaning behind their names, Satya, Raja, Thomas. 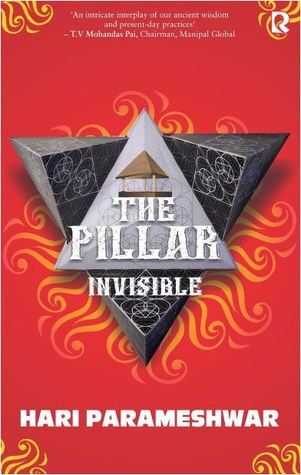 °°° TASARA, and the hidden pillar. °°° The prologue and the epilogue (they were so necessary). The starting of this story was exciting itself, how a journalist is given a new work, to find the fourth and the hidden person behind the company TaSaRa. °°° The spiritual and mental swings are quite difficult to write and make articulate but the writer did it with ease, that was another reason to touch this book. 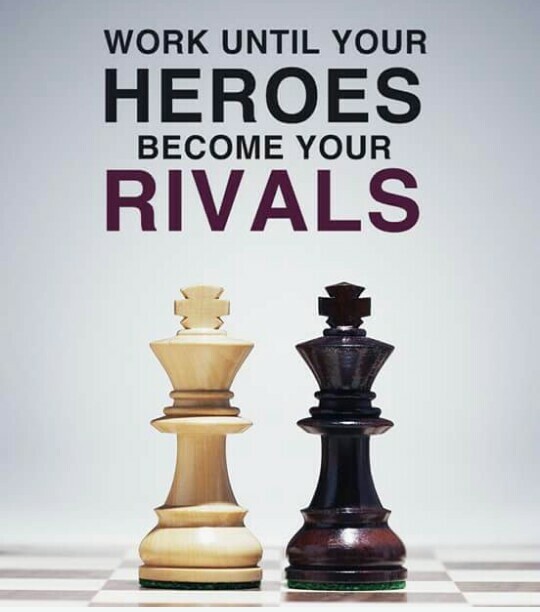 °°° A very important read for the people who are working or want to do a job in the future. °°° Awesome work, phenomenal writing and brilliant characters. 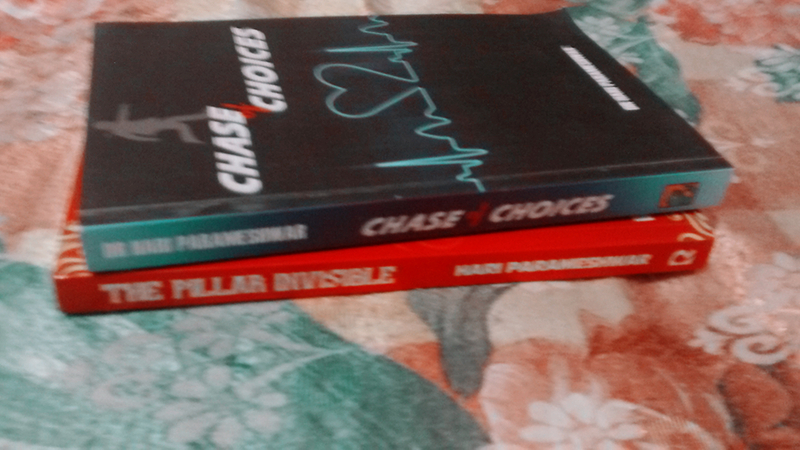 Hair Parameshwar is also famous for his other books, one of which I have read and enjoyed. I completed this book on the 19th of May this year. Thirty pages and I was hooked. The protagonist, Ravi Raj Nambiar was in search of a woman who can be a wife, helpmate and mother to his children. He had a profile on IDM through which he reviewed the proposals (matrimonial interests). He yearned for Olivia Claire, an American woman, a mother of two children who had emailed him about her interest in him but he was suspicious of her too because why would a American woman want to marry a Indian Man? Well well well, that is a spoiler but I can tell a little tiddle bit that is she has a feeling that Ravi is her soulmate. Then there is Meenu, with curly short hair and a cute face who also interests him but there is something strange about her. At last there are Anjali and Priya, I liked Anjali more than the others. Anjali is a ghazal singer, with her soft melodious and child like voice, her mature thinking and kind nature, she is the most convenient choice. 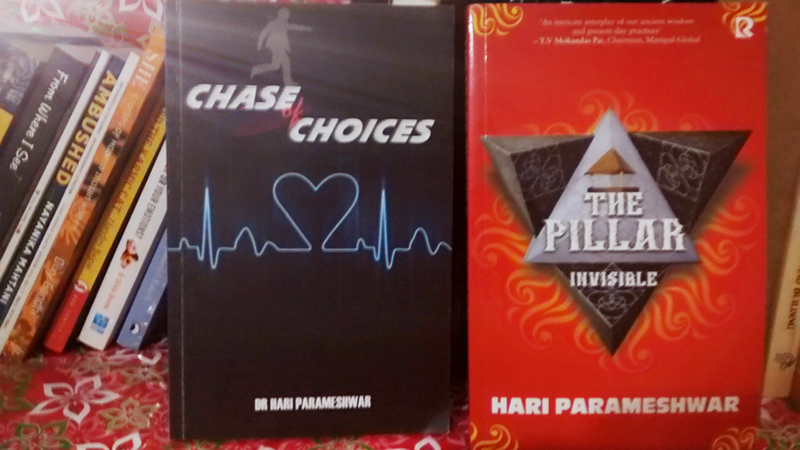 Each of them has a special benefit, in the end who will Ravi choose? There are so many choices , so many pathways from which we have to choose one. What I liked the most about this book were the forty six universal laws of human life. A human gets so many choices in his life from which he can choose just one and simultaneously, he should be careful about any wild goose chase. The author described about the characters in detail which also made it more absorbing and exciting. A welcoming read also a mirthful one with love, suspense and drama. 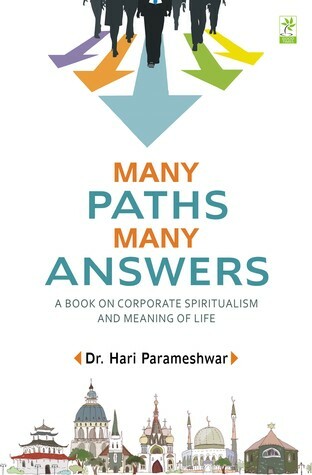 ‘Many Paths and Many Answers’ is another book by the same author. This is about corporate spiritualism and meaning of life.